Blog - How to create an asthma management plan? Asthma is an inflammation of the airways, thus making breathing difficult. Coughing, chest tightness, and shortness of breath are a few symptoms of asthma. 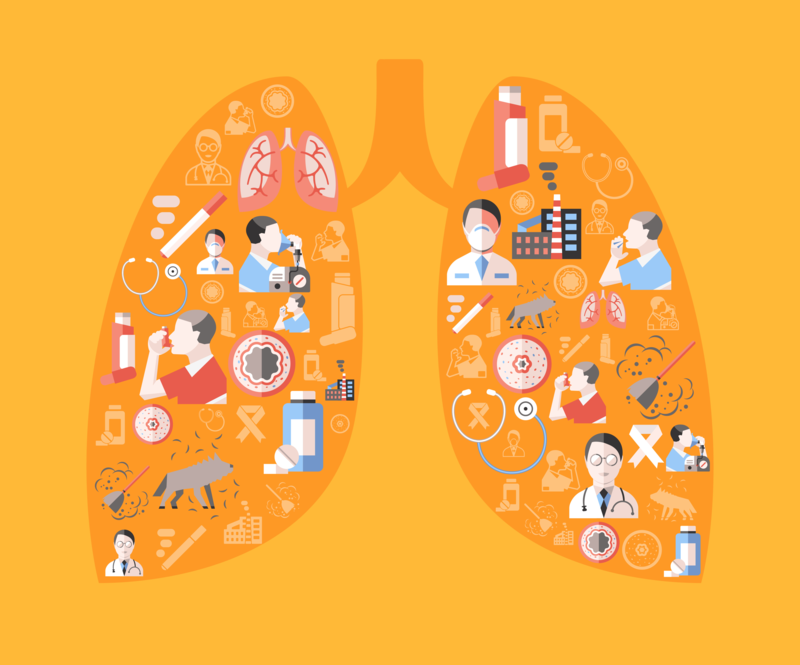 Understanding triggers: There’s no single cause of asthma. It is thought to be caused by a combination of genetic and environmental factors. What can trigger asthma for one person may not trigger it for someone else. Triggers vary from one person to another. Substances that cause allergies (allergens) can trigger asthma. Outdoor allergens like pollens and indoor allergens, such as pet dander, dust mites, and mold can trigger asthma. Smoke from cigarettes, strong perfumes, and air pollution such as smog are a few environmental triggers. Respiratory illnesses like cold, influenza, sore throats, and pneumonia can also set off asthma attacks. Some medicines and food can also act as triggers. Pollens: If your child is allergic to pollens, then avoid outdoor activities during pollen season. Keep all car and house windows closed and use the air-conditioning. Dust mites: Dust mites are insect-like creatures. They enter and strive inside mattresses, carpets, and sofas. Humid conditions are conducive for such creatures to thrive. The best way to prevent allergy symptoms caused by dust mites is to vacuum your sofa, mattress, and curtains from time to time. Place your mattresses in a dust-proof cover. Also, wash all bedding in hot water. Keep pets outside: Furry animals can trigger an asthma episode. Dander or the proteins in the skin flakes, saliva, faeces, and urine can trigger asthma symptoms. If you don’t want to give away your family pet, then try to keep the animal out of the bedroom and off the furniture. Also, it’s important to bath them frequently. Mold and mildew: Keep high-moisture areas like kitchen, bath, and basement clean. Use dehumidifier to reduce indoor humidity. Smoke: There should be a strict no-smoking rule in the house. The smoke of cigarettes often is trapped in enclosed areas and can flare-up an asthma episode. Opt for non-smoking eating joints. Strong perfumes and odours: Avoid things that have a strong smell, such as deodorants, perfumes, hair spray, and fresh paint. Food allergies: Certain foods, such as milk, eggs, peanuts, tree nuts, soy, wheat, fish, and shellfish can trigger asthma symptoms. Allergy tests are the best way to know what's causing your asthma symptoms. Know when to visit emergency care? Feeling out of breath, even when you're not moving; trouble doing normal activities; not feeling better after using your rescue inhaler - are a few symptoms that suggest that the Asthma attack needs immediate medical attention. If left untreated, this can be deadly. A balanced diet and maintaining a healthy weight can make it easier to manage the condition. Adding a diet rich in vitamin D like salmon, milk and fortified milk, fortified orange juice, and eggs help in reducing the frequency of attacks. Food items rich in vitamin A like carrot, sweet potatoes, broccoli, and spinach are also recommended. Even though exercise is a common asthma trigger; but, no exercise is also not good for the condition. Activities that involve a lot of exertion like football, hockey, and basketball should be avoided. One can engage in exercises that do not make him/her lose breath. However, do not start any exercise program without consulting your doctor. He/she will help you decide what activities are best suited for your condition. Swimming at an indoor pool can be a great physical activity for children with asthma. You can check Pankajakasthuri’s Breathe Eazy tablets and Syrup to manage the symptoms of the respiratory diseases such as Asthma and Bronchitis.